Looking for the ideal spot to cheer on the cyclists? If so Historic La Grange offers several blocks of shaded viewing with a variety of local restaurants, unique shops and fun attractions. 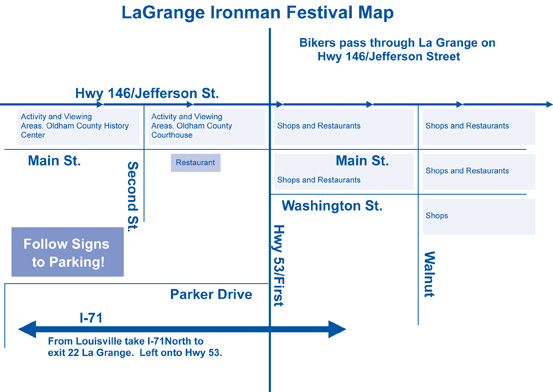 Watch the cyclists pass through town twice (miles 30 and 60) as they conquer the LaGrange Loop. 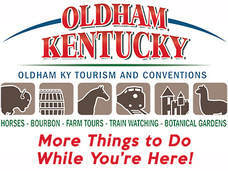 LaGrange is located just 25 minutes north of downtown Louisville on I-71 at Exit 22. Parking is limited. If possible please take advantage of the free shuttle buses from downtown Louisville to LaGrange. See below for details. See you there! Make sure to look below at the map. Shuttles will be running between Downtown Louisville to LaGrange.